aquaTECTURE to invest in Toronto-based Real Tech, Inc.
aquaTECTURE, LLC, a privately-held company with multiple operating businesses focused exclusively on the water and wastewater sector, along with its affiliated investment vehicle aquaTECTURE Holdings, LLC, has announced its investment and ongoing partnership with Toronto, Ontario-based Real Tech. Inc. Founded in 2004, Real Tech is a global real-time monitoring solutions for water and wastewater systems. Real Tech markets a variety of spectrophotometric analyzers which provide real-time, continuous scanning for contaminants and compounds across a wide range of complex applications. The analyzers leverage the company’s patented and proprietary technologies, as well as its portfolio of thousands of deployed units, to provide unmatched accuracy, detection capabilities and reliability. Real Tech CEO and Founder Jodi Glover commented, “Real Tech has built an extremely strong client and technology base, making us well-positioned for further expansion, especially with the launch of our new Liquid Ai platform. aquaTECTURE’s unique profile as a strategic investor in the water space, along with our shared values, make them the perfect partner for helping accelerate Real Tech’s vision of advancing how water is managed. We are incredibly excited to have them as partners as we seek to expand our footprint and penetrate additional markets”. 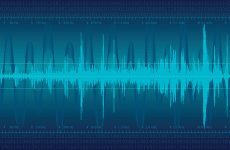 Real Tech uses patented technology and proprietary algorithms to provide best-in-class real-time monitoring solutions. Worldwide public health benefits from Real Tech’s advanced analyzers and sensors through optimized process control based on real-time and continuous monitoring of water quality (vs. days or weeks to turn-around grab samples which must be sent to a lab). Real Tech systems help protect the environment through continuous monitoring of wastewater discharge streams across municipal and industrial applications, providing rapid detection of process upsets and exceedances and preventing large releases into rivers, lakes and streams. Liquid Ai, Real Tech’s advanced Spectrum series of analyzers combined with proprietary algorithms and data analytics, allows for identification and detection of multiple contaminants and compounds using only a single analyzer. Founded in 2015, Los Angeles-based aquaTECTURE is a privately held, multi-strategy firm focused on the water and wastewater sector. The firm provides turnkey drinking water and wastewater systems, including design, engineering, construction, contracting, and operations. aquaTECTURE’s subsidiary waterTALENT LLC maintains a best-in-class team of over 600 licensed water and wastewater engineers and operators with deep operational expertise in order to ensure project viability throughout the life of the system. Founded by Jodi Glover and Andrew Glover in 2004, Real Tech is bringing intelligence to water. The multiple award-winning company combines advanced real-time sensors with powerful data analytics to offer endless detection possibilities. We are empowering our clients with up to the minute insights that are important to them, helping to make critical decisions every minute of every day. The results of real-time information are significant including improved treatment performance and optimization, cost savings, compliance assurance, public health & safety, pollution control, environmental protection, improved water quality and more. With thousands of clients in over 50 countries around globe, we are enabling municipalities and industries, both big and small, to take control and always know what’s in their water. 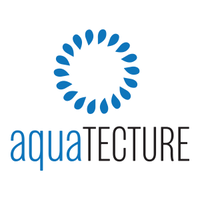 Tags: aquaTECTURE, aquaTECTURE LLC, Real Tech Inc.